There are two poets whose work I’ve been devouring of late: RS Thomas and Franz Wright. I will write more about the former at some other stage, of why the Welshman’s words haunt me in the hours I ought to be sleeping and of why he may in fact be one of the poets that I’ve been listening for for all my life. This wee post, however, is about Wright, an American poet writing with a different energy to Thomas’, and whose words, which are no less honest, move at a pace which betrays that he inhabits not only a different time, but a younger nation as well. ‘Wright’s poems sometimes feel insufficient, but also, in that insufficiency, authentic. Is there really any such thing as reconciliation? the poet seems to ask, even as he yearns for reconciliation. Anyone else might have come to terms with this quandary years ago. But poetry, like quandaries, should be unsolvable. 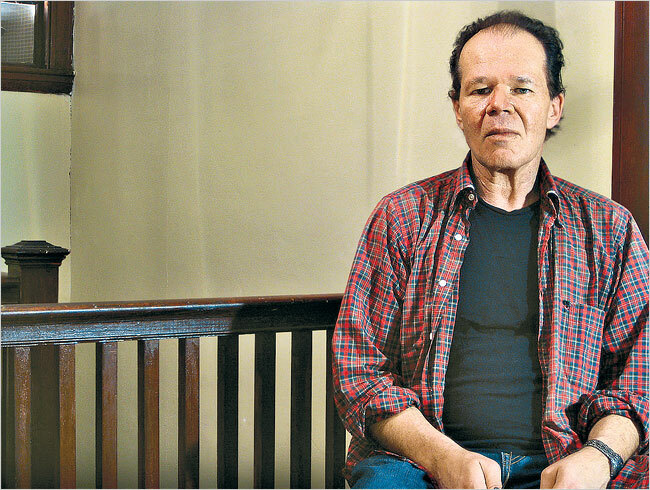 What’s bothersome about Franz Wright is what keeps his poetry alive, and makes him worth coming back and back to’. at once as one stands staring into the black water. and he will be healed. Two great poets. I discovered Thomas in 2003 on a trip to the UK. While staying in Wales, I heard lectures from Damian and Jason Walford Davies on Thomas’s work, and it fundamentally changed my life. I was a lit major in college, and while T.S. Eliot’s work had pushed me toward theology, Thomas shoved me over the edge. I still read him on a weekly basis. I don’t know if there’s ever been a more brutally honest poet. Thanks for sharing these, Jason; this is good stuff! The only poetry I’ve read recently, until this, is “Hebrew”. These poems are mind-blowing! Thanks… I think.